The Pull Up is one of the classic physical tests of functional strength. 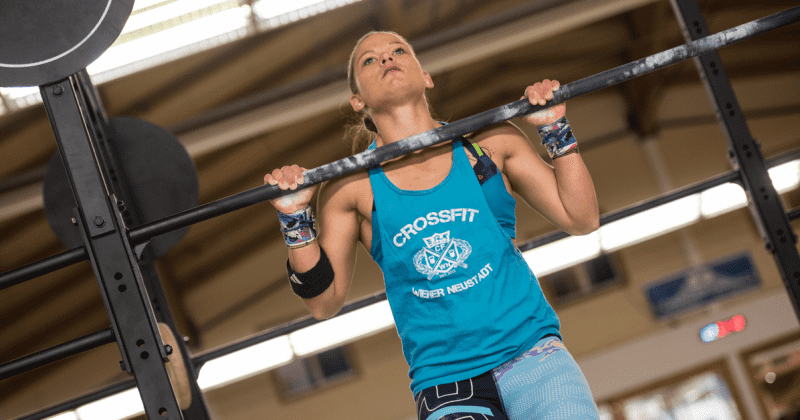 But how can you make it an even more challenging part of your Crossfit WOD? The standard variations of close grip, shoulder width and wide grip pull ups form pillars within any crossfit workout routine. So in the spirit of surprise, and in the name of a good challenge, why not include these lesser-known variations of the exercise into your next workout? Popular within Martial Arts training, especially Judo, this is an excellent variation for concentrating on grip and forearm strength, exposing weaknesses and testing and improving any muscular imbalances. They are versatile, fun and can be easily adapted to suit any specific requirements of the WOD. Method: Take a towel for either hand and hang them over the bar. Grip each towel tight to form a loop, and then perform the pull up set with them spaced at shoulder width apart. You can vary the movement by bringing the towels closer together or moving them further apart. Using only one towel is another intriguing way to throw up some new challenges for your body. Hang the towel over the bar above your left shoulder and grip in the same way as before. Hold onto the bar with your right hand and once more begin the set of pull-ups. You will notice that your left hand and arm are in a lower position. This is intentional. Make sure to keep your body as straight as possible throughout the full range of motion, and let your back and arms adjust to hold this form steady. Alternate and perform the same number of reps with your right hand holding the towel and the left gripping the bar. To make both of these variations harder, simply grip the towel(s) lower down, so that more strength and power is required from the other arm. You can also perform this kind of pull up with a single towel gripped with both hands. Bring your head up on different sides of the bar with each rep, and keep your body as straight as possible by tensing your core. You will have to work hard to keep your body balanced because of the reduced stability, so this additional stress will add to the difficulty and force your muscles to carry out a familiar movement in an unfamiliar way. A difficult pull up that requires a high degree of controlled strength, and a killer for your traps, lats and shoulders. Gymnasts often use this variation as an important part of their training routines, and they work highly effectively for crossfit athletes as well. Method: Hold the bar with a medium to wide grip, and pull yourself up until your head rests over the top of your right hand. Your body will glide over to this side during the range of movement, and at the top, will resemble the pose of an archer with an outstretched arm, drawing the string of an imaginary bow. As you descend, return your body to the central hanging position. Repeat the movement and bring your head above your left hand, in a mirror image of the first pull up. The movement should be as graceful and smooth as possible, because it takes a greater level of strength and control to make it appear that way. The slow movement of this exercise engages and conditions large muscle groups in ways that are much less common in explosive exercises and other types of pull ups. For another hard challenge, try Square Ups. These follow the same movement, except that once you are resting in the archer pose with your head on the right hand side, lower yourself down directly below, keeping on the right hand side and avoiding the central hanging position. Once at full stretch, move your body over to the left hand side below the bar, until you are beneath the position of your left hand. Now perform the pull up, keeping to the left. Once your head is over the left hand, slide back over to the right, keeping your head over the bar. That is one rep. Your movement should follow a square with your hands as the top two points, and the bottom two as the resting places directly below them.